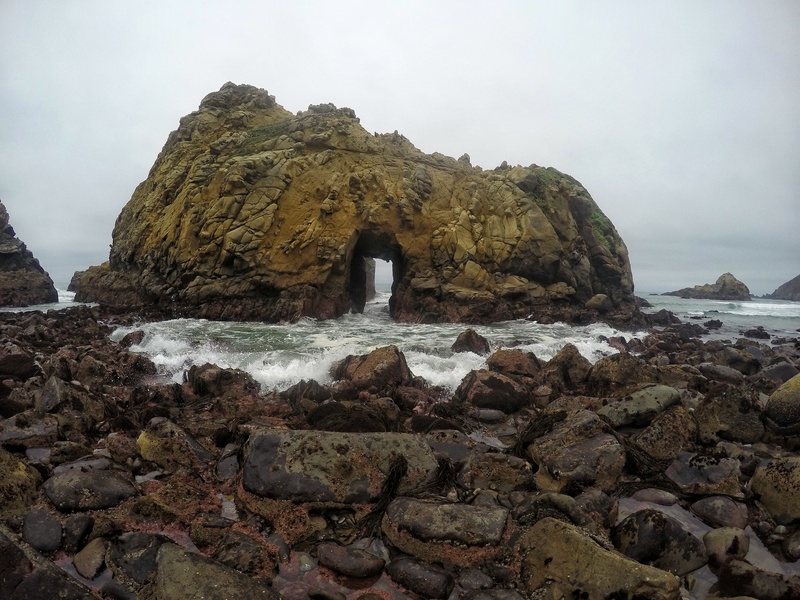 Getting to Pfeiffer Beach in Big Sur can be a bit tricky, as it’s not the most obvious and signed route, and if you are planning a trip to the Big Sur area, it’s certainly not a stop you’ll want to leave off your itinerary. 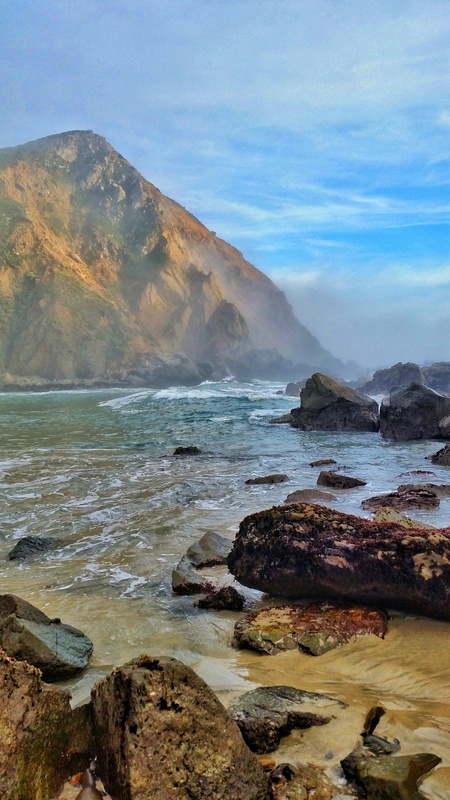 Pfeiffer Beach is renowned for it’s patches of purple sand dotting the shore, the monolithic Keyhole Rock, towering cliffs, and large trees. 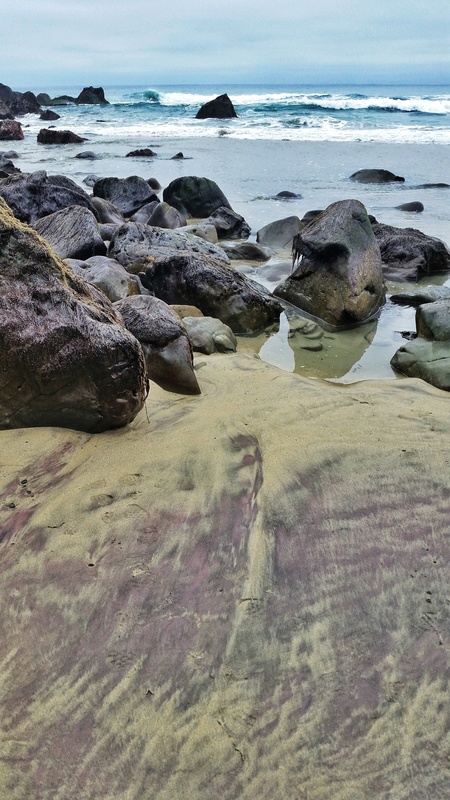 The beach can get quite crowded, no matter the day of the week, and with the limited parking spaces, you can easily find yourself making the hour or more long walk down Sycamore Canyon road to access the beach if the parking lot happens to be full. 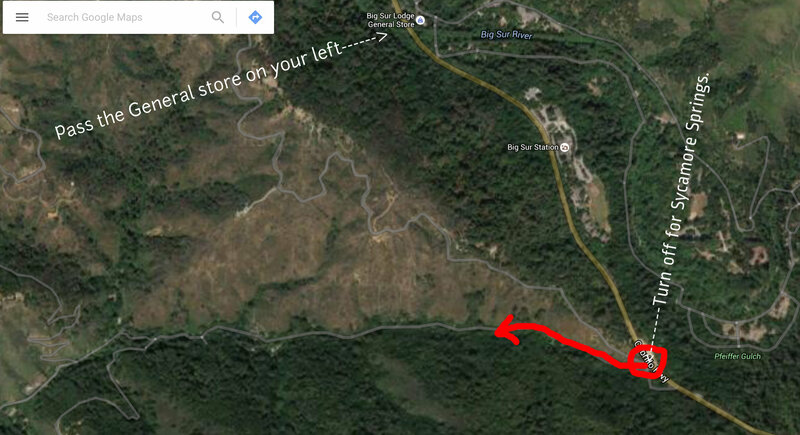 If you are coming from the north, on Highway 1, after passing the Big Sur Lodge General Store on your left, in about a quarter of a mile you will arrive at Sycamore Canyon Road, the long road that leads out to the beach. 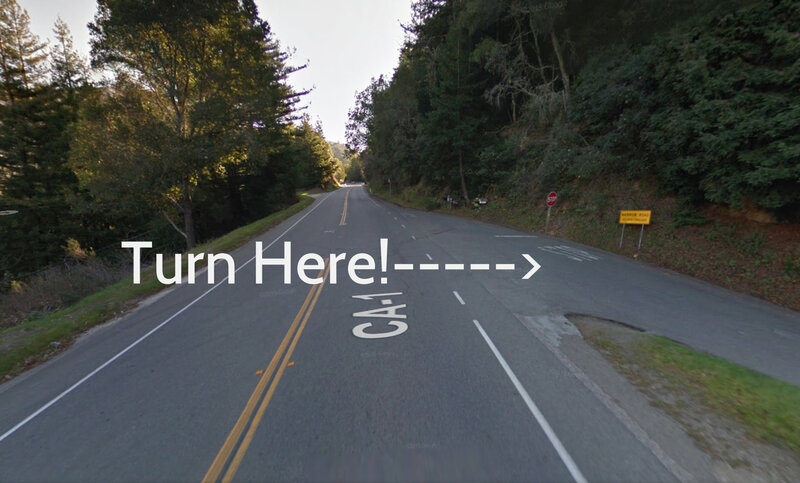 The turn off from Hwy 1 is a very sharp right turn that is not immediately obvious unless you are looking for it. The best way to find it is to look for the yellow “Narrow Road” sign right at the entrance. Immediately after making your turn onto Sycamore Canyon, you’ll be greeted by a park attendant who will either wave you on down the road, indicating that there are spots available to park, or will turn you back to park much further up Highway 1 in a pullout, resulting in a very long slog back. Hopefully you’ll be lucky and be let through. We visited twice, and both times got extremely lucky, as the cars in front of us were turned back, only to have a spot open up for us just as we were next in the queue. You will find many people walking along the road toward the beach, and if you’re nice (and have the space available in your vehicle), you could pick a few people up to take along with you to the beach and make their day! It’s a very long walk. We were lucky to have a truck, and piled as many people in the back as we could both coming and going each time. After driving down Sycamore Canyon for approximately 10 to 15 minutes, you will reach a booth in which you must pay $10 for entry to the beach. Just beyond the booth is the main parking area.